GULU – Kyadondo East MP Robert Kyagulanyi aka Bobi Wine has urged Ugandans to continue the struggle against bad leadership in the country, arguing that the “oppressor’s time will soon come to an end”. 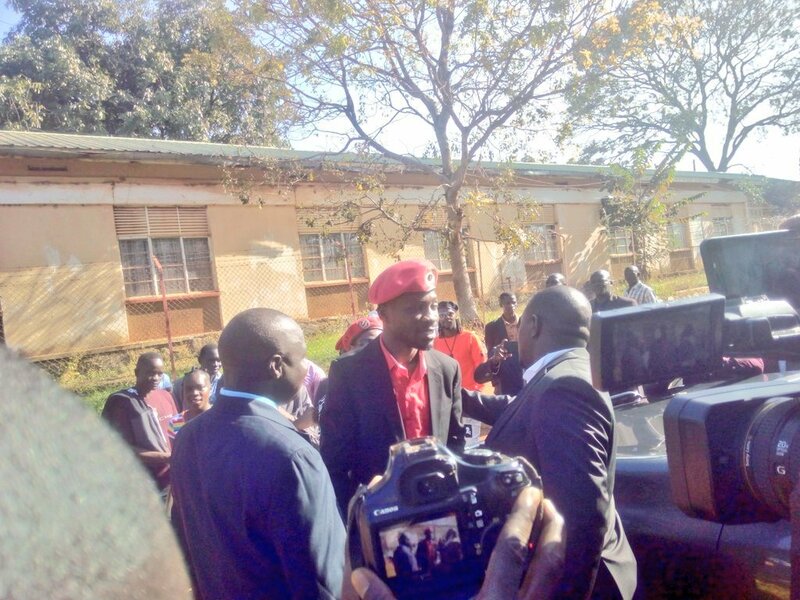 Addressing journalists at Gulu High Court in Gulu Town on Monday, the MP, who has been an outspoken critic of President Museveni’s government under the Power Power slogan, also said the treason charges he is facing alongside 34 others are meant to intimidate him and divert their plans to liberate the country. “I want to remind Ugandans that our liberation is near. This has all been done to us to intimidate us and other Ugandans but they should overlook the suffering that we have gone through and concentrate and keep their eyes on the price; liberation,” Bobi Wine said after appearing in court for mention of the treason charge. “Sooner or later, the oppressed shall be free and they shouldn’t be scared because the people we are scared of are more scared of us. They should continue asserting that our power is people power,” he added. The case was later adjourned to December 3 after the state prosecution requested for more time to present evidence pinning the MP and the 34 others over the Arua Municipality chaos that led to the stoning of the President’s car at the end of MP by-election campaigns. “We respect the law, we are a law-abiding citizen that’s why we came today and we shall continue coming although we are grumbling about all process and we are ready to follow justice,” Mr Bobi Wine said. Grade One magistrate Yunus Ndiwalana deferred the case to December 3 after the state prosecutor, Mr Julius Ochen, told court that they needed more time to gather more evidence against the accused. In addition, Mr Asuman Basalirwa, one of the lawyers representing the accused, asked the state to present more evidence before court such as President Museveni’s car that was allegedly stoned during the Arua chaos. Mr Basalirwa asked court to adjourn the case for three months to allow prosecution present enough evidence for the hearing of the case. He added that the accused persons travel from distant places to attend court, which not only inconveniences them but also costs if the court makes short-term adjournments. “We seek your indulgence that the case be adjourned for three months because we are not sure whether the case will all be investigated. Three months are sufficient enough for state to carry investigation. After the three months, we believe they would have finished the investigation or will be able to present a relatively knowledgeable part of the matter,” Mr Basalirwa said. The magistrate then granted their wishes and adjourned the case for three months. Present in court was Bobi Wine, Paul Mwiru, Kassiano Wadri, Mike Mabikke and several others. However, Ntungamo Municipality MP Gerald Karuhanga, Atiku Shaban, Gamba Tumusime and Abola Jane were not present in court but were represented by their sureties and lawyers.